Big blue skies and 360˚ of rolling mountain surround you and give you room to breathe. Here you have peace and quiet and rest. Time to do fly fishing. Time to take in the wonders of nature: birds, animals and a pristine biodiversity that will help you fall in love with life and living all over again. The high altitude grasslands of the Slang River catchment, are economically important as a major source of water to Mpumalanga and Gauteng. The altitude ranges between 1800 and 2000 metres. Extensive high altitude plateaus give way to steep to gently rolling slopes which meet large wetland systems and meandering watercourses in broad valley bottoms. 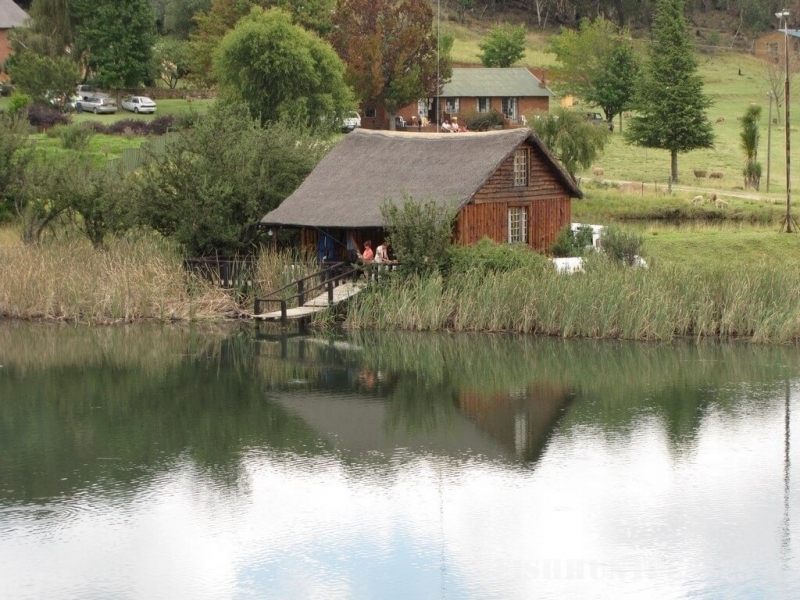 Fly fishing is offered for rainbow and brown trout in seven stillwaters. Float tubing is allowed in four of the waters. A bag limit of two fish a day applies. 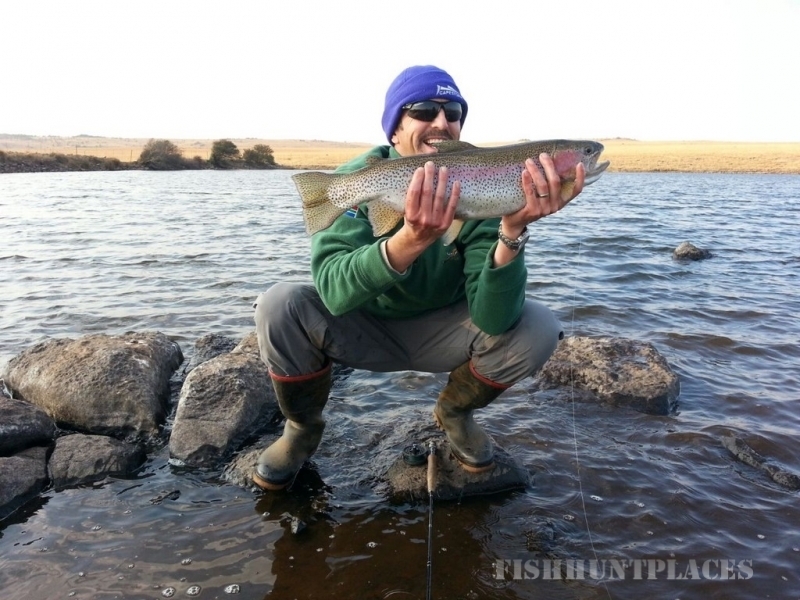 Catch and release with barbless hooks are allowed in these dams. 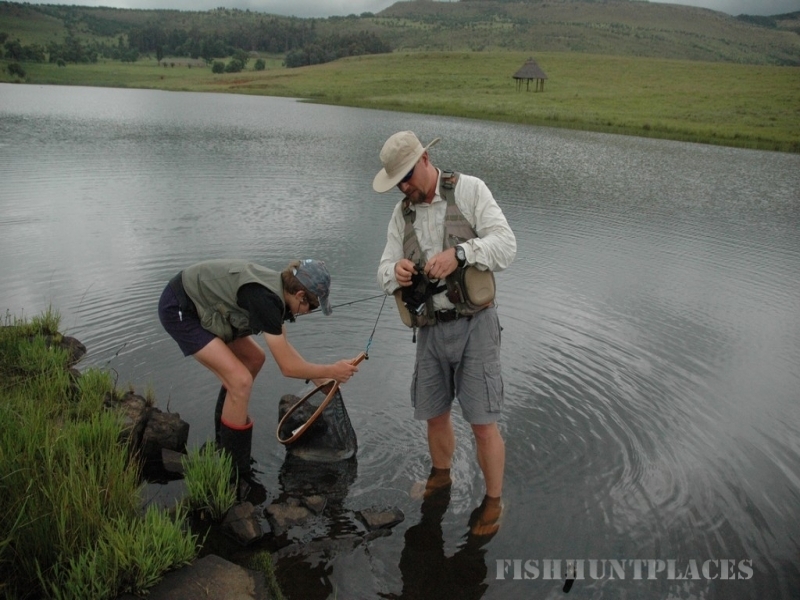 The big dam (46ha) provides a truly unique opportunity for seasoned fly anglers to test their skills in wild natural waters where catches in excess of 3,5kg are regularly recorded. 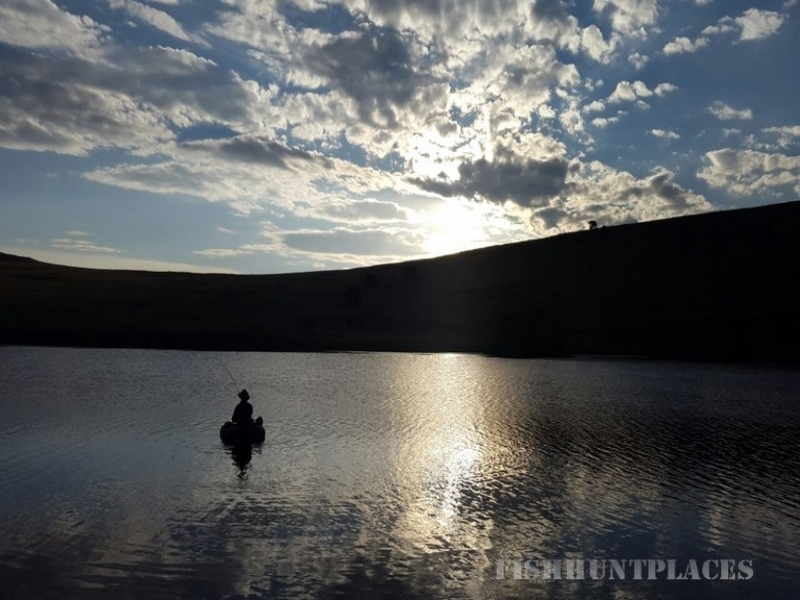 Catch and release with barbless hooks is strictly enforced, providing a fishing experience that is unsurpassed and well worth the visit. The big dam is closed from 1 October to the beginning of Easter weekend. 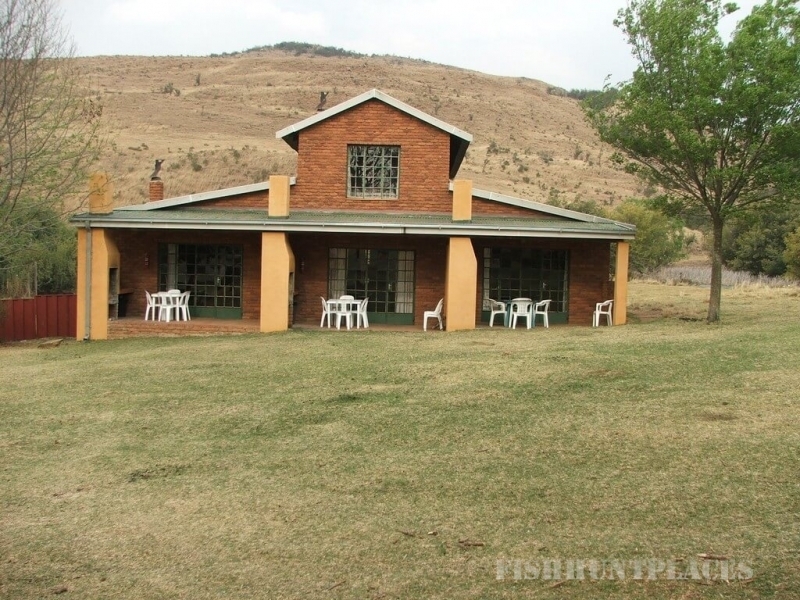 To fish here an extra fee per day per rod will be charged. 1150 rainbow trout was stocked into 6 dams on 6 October 2016. Guests record wealthy fighting fish regularly, and not only stockies are caught!! !